Bogan Services is a full-service customer-driven company. Our skilled and professional staff can handle any project, large or small with the goal of quality workmanship and total customer satisfaction. We offer a wide range of services to meet our clients needs. In addition to the above, we are always adding new technologies to serve the ever changing needs of the client. We strive to be your one stop shop. We want to be there for the life of your home or building. We are available 24 hours a day, seven days a week. Our crew of skilled service technicians will respond promptly to your routine or emergency service needs. 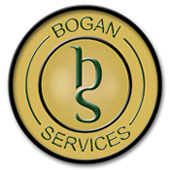 When you work with Bogan Services, we build a lifelong relationship in which your needs are our focus. We believe starting the project on the right foot is essential. Before any project begins, we provide you with an assessment of the job. This provides our project manager the opportunity to determine what your exact expectations are and how we will meet them.by walking the project with you. The next time a storm knocks out power in your business or home, you may find yourself thinking about a standby generator. Standby generators offer you and your loved ones comfort and security when power is unavailable. Once your generator is installed ask about our Power Care Program. Your standby generator protects your family and business from dangerous conditions and costly downtime. The Power Care Program from Bogan Services provides your family and business with the added assurance of a complete and well-planned preventative maintenance program. Homeowners, do you know what’s lurking in your walls? • Test and check all GFCIs (ground fault circuit interrupters) in kitchen, bath and exterior, as well as check circuits in the homeowners’ breaker box. This program allows homeowners to have “peace of mind” and designed to prevent unnecessary home fires from improper electrical connections or worn out electrical devices. Many home fires are the result of faulty wiring or preventable electrical issues. Our Preferred Customer Program is designed to keep homes safe and at a price that takes away any excuses- starting at $189 for an annual full home inspection.